It is an amazing thing to me that the Son of God came to the earth in such a beautiful, simple manner. There was no pomp and circumstance at the time of His birth in the lowly manger. He came as a baby in order that He would go through and experience the various stages of life we would and yet not sin. The Word of God tells us He was tempted in every way just as we are. Hebrews 12:15 NIV 15 For we do not have a high priest who is unable to empathize with our weaknesses, but we have one who has been tempted in every way, just as we are—yet He did not sin. Our temptations are not foreign to Him. That in itself is sometimes hard for me to wrap my mind around. When He came to the earth He could have come in all His glory and majesty as the exalted Son of God, but rather He came humbly to demonstrate His love and affection for us in a way that we can understand. He was man and He was God. He dealt with the same things many of us deal, with yet did not sin. Through His holiness and obedience He made a way as the sacrificial lamb for us to become holy. When He willingly sacrificed His sinless body for our sin ridden bodies He opened the door for our redemption by the blood that was shed. That is love! Until we really grasp that fact not just in our head but in our hearts, we will continue to strive to make ourselves acceptable to Him. However, striving will never accomplish acceptability. On our own, we will NEVER be clean enough, kind enough, loving enough, or giving enough. We simply cannot make ourselves be acceptable by anything we do. It is only by accepting that when He died on that cross, His shed blood made me acceptable in the eyes of God. It is through Christ alone that we are able to stand clean before God. It is through Christ alone that we are changed. When we come to Him and ask His forgiveness and ask Him to be Lord of our life we receive the Holy Spirit who begins to work in us to conform us into the image of Christ. Through prayer and prayerfully reading our Bibles we will grow closer to Him and deeper in our walk as followers. There will be times in our walk that we stumble. It is during these times it is most important that we confess our sin quickly, get back up and move forward. If we allow the accuser of the brethren (Satan) to cause us to feel we are no longer good enough to come before God we have missed the most important message of the gospel. We will NEVER be good enough. That is why we need our redeemer! That’s why God sent Christ! 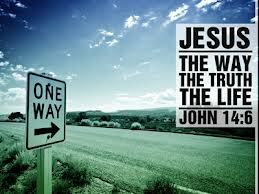 John 14:6 NIV 6 Jesus answered, “I am the WAY and the truth and the life. No one comes to the Father except through me. If you are a Christian that is struggling with feelings of defeat, discouragement, failure etc. because of a stumble, a fall or outright disobedience than it’s time you confess your sin, and accept His forgiveness. He promises that if we confess our sin He is faithful and just to forgive us from our sins and to cleanse us from ALL unrighteousness. (1John 1:9) HE does NOT LIE. Don’t allow pride or fear to keep you from intimacy with the lover of your soul. Pride will tell you that you need to straighten yourself up first before you come to Christ. You can’t straighten yourself up without Christ! Too often we listen to the wrong voice when we stumble and rather than confessing our sin and turning back to the One who willingly died for us, we try and fix ourselves up first. It is pride cloaked in works. His love for us is more than sufficient to forgive us and set us back on track! Don’t waste another minute striving to get back to a place where you feel you will be good enough to come back to Christ. It’s impossible on your own. Instead accept once and for all that the blood He shed on the cross will cover every one of your sins. Not just some but every one. Ask for forgiveness right now and KNOW that if we confess our sins, He is faithful and just and will forgive us our sins and cleanse us from all unrighteousness. Begin to thank Him for His love and mercy and get back into a place of intimacy with Him through spending time with Him and in His Word. Lord I am sorry for the things that I have done that have grieved You. I am sorry for hurting or disappointing myself and others through my actions. I pray for your forgiveness right now and I believe Lord that when I confess my sin You are true to Your word and that You are faithful to forgive me and to cleanse me from ALL unrighteousness. Thank You Lord! Keep me close to You and give me a hunger for Your word that I may grow closer and deeper in love with You.